Sky has blamed “distributor confusion” on the final season of Hell on Wheels screening out of sequence. 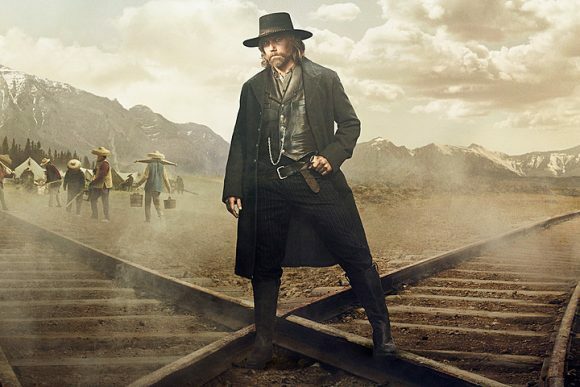 “Due to distributor confusion around production numbering, episodes four and five of Hell on Wheels S5B were aired out of order,” it said in a programming update to media. Adding to the confusion are the descriptions in Sky’s EPG, where the billings switched from “5sB Ep 1” for the premiere to “S5 Ep9”, “S5 Ep10” and “”S5 Ep11” for subsequent episodes. The SoHo reshuffle means programmes following Wheels next week will run later than originally advertised while two screenings of Larry Kramer in Love and Danger and one of Last Week Tonight With John Oliver have been cancelled to accommodate the double-eps. The embarrassing mistake occurred only three weeks out from Wheels riding off into the sunset for good but Sky is to be commended for reloading the series in time to point true north.